Executive mid-back chair features leather upholstery on seat and back and padded loop arms that are fixed. Distance between arms is 19". 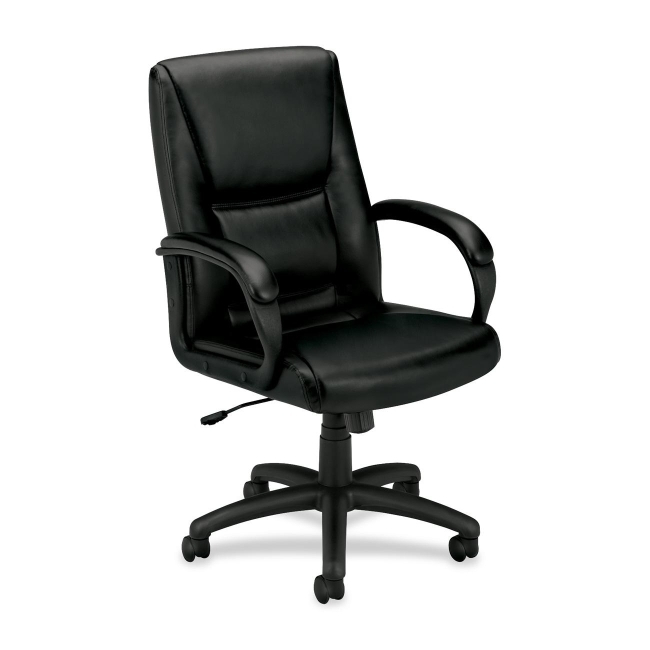 Functions include pneumatic seat-height adjustment from 18-3/8" to 22-1/8", 360-degree swivel, tilt, tilt tension and tilt lock. Seat measures 19" wide x 18-3/4" deep. Back dimensions are 19" wide x 26-3/8" high. Five-star base has five 2" dual-wheel casters for easy chair movement.